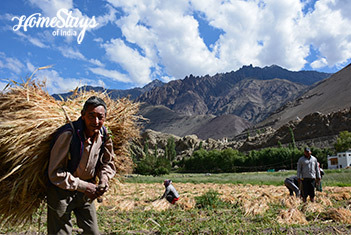 Set along the turquoise blue Indus River and colored with apricot and ripe barley fields in summer, along the ancient trade route, Alchi is a small but busy village with an approx population of 950, situated 66 km west of Leh. 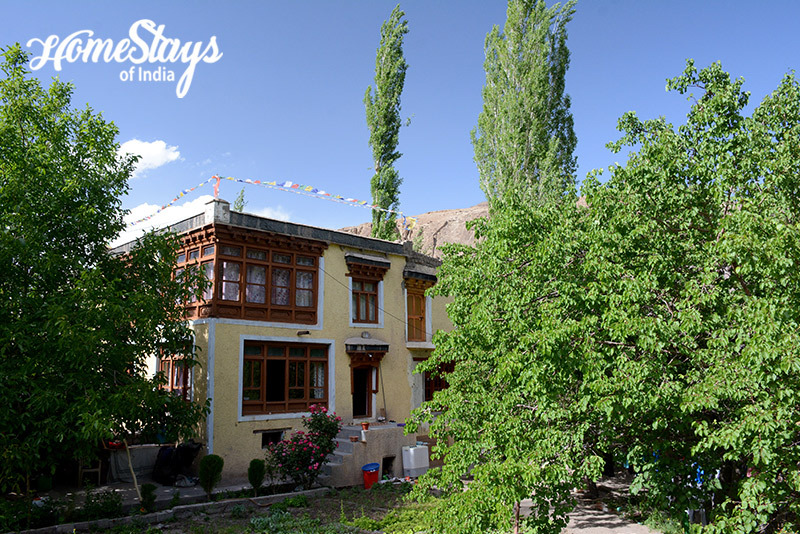 The village is famous for the existence of one of the oldest monasteries in Ladakh, Alchi Monastery (a national heritage) which is known for its magnificent and well-preserved 11th century wall paintings. The monastery was built, according to local tradition, by the great translator Guru Rinchen Zangpo between 958 to 1055AD. This region had influence of Islam, Hinduism and Buddhism because it falls on the route to Turkestan of China but its isolation helped the village and gompas to keep their cultural traditions safe from the outer influences. 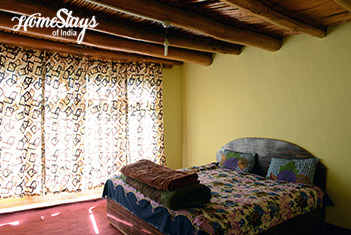 Since Alchi is tourist village, Chewang Rabgias opened his home for tourist in 2013 for regular income. It is located just behind the Alchi Monstery within a fruit orchard. 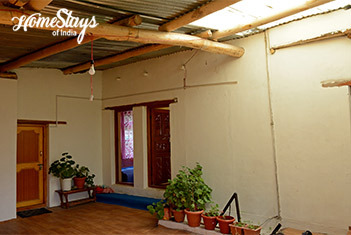 The home consist of total 4 double rooms; one with attached toilet and rest 3 has a common toilet. Hot water is supplied in buckets. Chewang is born and brought up up in Alchi only. After getting retirement in 2003 from Indian Army he did farming for few years and finally took homestay as a full time job. His wife Tsering Spalzes, like most of Ladakhis is a simple and shy lady and also the in charge of kitchen. 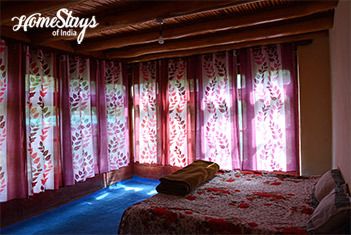 Tsering serves Indian and traditional Ladakhi food like Momos, Thupka, Skew, Chutaki and Papa. If given time she can provide non-veg food also. 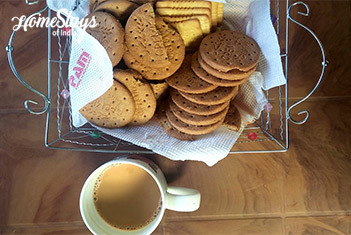 Milk or Mint Tea is available anytime. Includes: Breakfast, Morning and Evening Tea.